With a growing appetite for electric vehicles (EV), customers in the U.S. are no longer just looking at parking garages as a place to stow their cars; they’re giving preference to those garages that offer a little more—including EV charging stations. Environmental need and market demand are growing. As sales of EVs in the U.S. are surging, up 45 percent from 2016 to 2017, and patrons increasingly compete for once-empty EV parking spaces, many parking garages are considering expanding their EV charging offerings. How we operate our parking can drastically reduce automobile-generated carbon emissions, pollution and fuel consumption, as well as promote more sustainable forms of mobility. Transportation currently accounts for nearly a quarter of global CO2 emissions. With over 1.2 billion motorized vehicles in the world today, and that number expected to double by 2030, it's becoming increasingly important to reduce emissions. Studies confirm that fueling through electricity instead of petroleum can shrink greenhouse gas emissions and other air pollutants. With the expansion of EV charging infrastructure, EVs are becoming more attractive to consumers, fueling EV adoption at a record-breaking rate. Parksmart offers points for EV charging stations. Many Parksmart-certified projects already have a leg up, since projects can earn a number of points toward certification by making EV charging stations available to customers. For example, the Cypress Garage at Florida’s Fort Lauderdale-Hollywood International Airport (FLL), a Parksmart Pioneer project, offers travelers access to EV charging stations in its garage. Patrons can fuel up in the valet area of the Cypress Garage before getting on a flight. Fully charged vehicles are continuously swapped out for vehicles with depleted batteries, allowing FLL to offer fewer charging stations while still extending this valuable service to customers. Although EV charging stations come with a heavy price tag, there are a number of strategies that can be considered before upgrading infrastructure, says Daniel Ciarcia, LEED Green Associate and founder of Two Willows Consulting. First, Ciarcia advises, assess the power needs across your facility and look for ways to improve efficiency. For example, upgrading lighting or improving HVAC systems can free up enough power supply to eliminate the need for an electrical upgrade. Power rationing is another strategy Ciarcia recommends to cut costs. Many parking structures collect payment for EV charging through fee-based charging stations, but Ciarcia suggests weighing the costs of implementing a fee-based system against the marketing and business benefits of offering complimentary charging options. Since today’s larger-capacity batteries only consume about $2–4 of electricity per charge, parking facilities may find that greater customer demand and loyalty outweigh the expense of free charging. Parksmart projects lead the way with EV charging stations. The 1600 Smith Garage, a Parksmart Pioneer project located in Houston, Texas, is a 14-story, above-grade garage with 2,577 parking spaces. This garage offers EV charging stations and designated parking for all fuel-efficient vehicles. 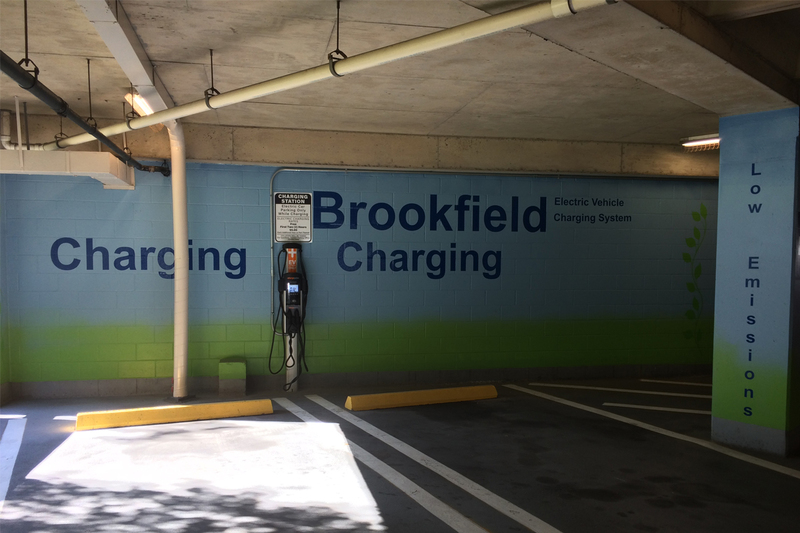 The focus this facility placed on sustainable parking and alternative transportation options such as EV, ride-share, car-share, cycling and public transportation helped Brookfield and SP Plus achieve Parksmart Pioneer certification. Cal Poly Pomona Parking Structure 2, a Parksmart Bronze project, opened in September 2016. 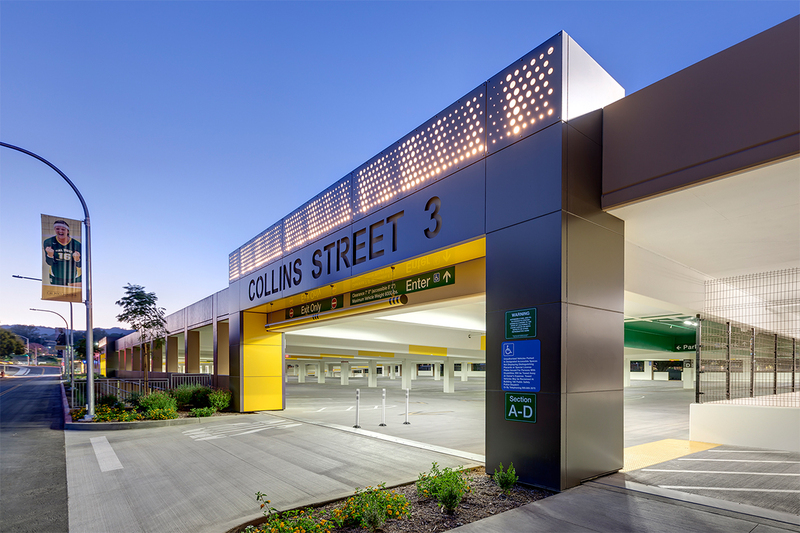 This three-level garage with 1,818 parking spaces was designed with a number of sustainable factors, including 24 EV charging stations. It also offers bicycle storage rooms to further promote use of environmentally friendly transportation. Cal Poly Pomona Parking Structure 2. Wells Fargo Center, a Parksmart Pioneer project, is located in Los Angeles, California, and has 2,052 parking spaces. 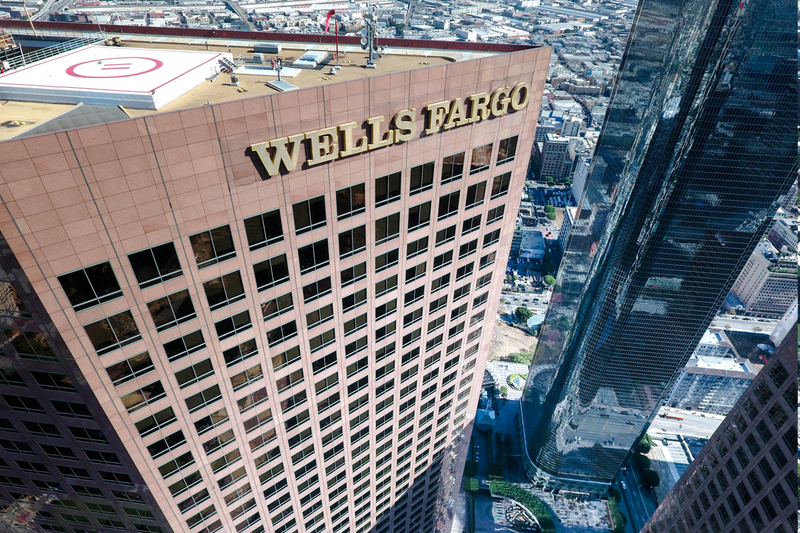 The Wells Fargo Center extends across an entire block of downtown L.A. and consists of two office towers joined by a glass atrium and outdoor plaza. The garage was built to service these surrounding areas. Patrons of the Wells Fargo Center have access to features that enable them to lessen the environmental impact of their communities, including 22 EV charging ports and a tire inflation station. To learn more about how Parksmart can help your parking assets grow in a smart way, contact us.